Ronald Melzack, an author of the hugely influential gate control theory of pain, on an important paradigm shift over the last half-century. The field of psychology is now at the forefront of pain research and therapy – a scientific achievement that was unimaginable a half-century ago. The standard textbooks in psychology and physiology at that time held that pain is one of the skin senses (along with touch, warm and cold). Typical diagrams showed a ‘pain pathway’ from the skin to the spinal cord and a projection to the thalamus and somatosensory cortex, where pain was assumed to be felt. This theory of a bottom-up, direct-line pain pathway, first described by Descartes in 1664, continues to stimulate physiological and pharmacological research because it makes common sense: it explains acute pains after injury or disease. However, it has failed to lead to any important new drugs to control the terrible chronic pains that plague millions of people worldwide. Instead, effective new drugs for chronic pains evolved from reports by patients that antidepressant and anti-epilepsy drugs diminish their pain more effectively than standard analgesic drugs. Although the direct-line theory persists, the past half-century has produced a rival theory that is grounded solidly in psychology and the brain. 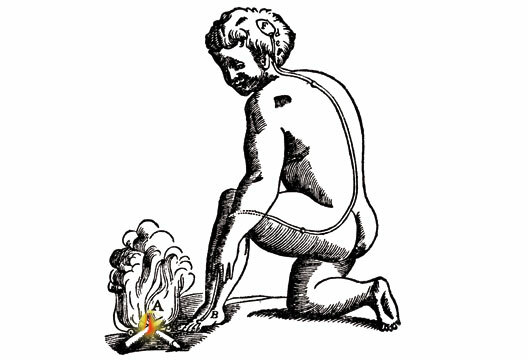 The beginning of a psychological, top-down approach to pain originated with the case histories of phantom limb pain and intense burning pain after nerve injuries reported by S.W. Mitchell (1872) after the American Civil War. These pains defy explanation in terms of the direct-line theory and led to the proposal (Livingston, 1943; Noordenbos, 1959) of long-lasting neural mechanisms in the spinal cord (such as reverberatory circuits) to account for their long duration and excruciating intensity. These concepts did not lead to effective therapies, but they mark the beginning of a major shift toward concepts that focus on chronic pain. In the 1950s anaesthesiologist John Bonica (1953) and surgeon William Livingston pioneered the first ‘Pain Clinics’ devoted to understanding and treating chronic pain. Unlike acute pains due to injury or disease, chronic pain is not a warning signal. There is no survival value in severe, unrelenting pain that persists long after an injury has healed completely. Most chronic backaches, headaches and muscle pains have no discernable cause, are difficult to treat, and diminish the lives of people who suffer them. In 1965 I was working with Patrick Wall at MIT, and we published the gate control theory (Melzack & Wall, 1965). It represented the first theory of pain that incorporated the psychological functions of the brain as an active, essential component of pain experience. In addition to sensory input, psychological activities – memories of past experience, the meaning of the situation, attention, anxiety – were recognised as an integral component of pain and created new approaches to control pain. The gate control theory was later expanded by a new concept of brain function (Melzack & Casey, 1968) which proposed that pain is a multidimensional experience comprising sensory-discriminative, motivational-affective and cognitive-evaluative dimensions. It provided a neurological explanation for reports by patients that their pain is diminished by antidepressant or anti-epilepsy drugs and stimulated the production of variants of these drugs for pain control. At the same time, the emergence of imaging techniques such as PET and fMRI allowed investigators to observe the brain of awake people and produced pictures of changes in activity in brain areas related to the affective and cognitive functions of the brain. The pictorial demonstration that psychological therapies such as hypnotic suggestion and relaxation produce significant changes in brain activity related to chronic pain provided further support for therapies directed at psychological activities of the brain (Bushnell & Apkarian, 2006; Tracey, 2011). Phantom limb pain after amputation of a limb is the most challenging of all forms of chronic pain. People born without limbs also feel ‘phantoms’ as well as occasional pain sensations (Melzack et al., 1997) and may even feel a whole vivid phantom arm or leg for the first time when they are adults (Saadah & Melzack, 1994). These extraordinary phenomena reveal that we are born with brain mechanisms that generate our subjective experiences of our body, our sense of self and pain (Halligan, 2002). The neuromatrix theory of pain evolved from these facts (Melzack, 1989) and was later expanded to include stress mechanisms (Melzack, 1999). The neuromatrix comprises genetically determined, widely distributed brain circuits that generate patterns of nerve impulses that are perceived as the body-self and pain. These ‘neurosignature’ patterns are usually triggered by sensory inputs but may also be generated by cognitive or homeostatic programs to cope with threats to the integrity and health of the body. They generate our subjective perceptions as well as our actions. The gradual move from the spinal cord to brain mechanisms and the development of psychological and psychopharmacological therapies represents a ‘paradigm shift’. The past 50 years has taken us from a modality-specific pain pathway to an open biological system that includes genetic contributions, gender, ageing and stress patterns involving the endocrine, autonomic and immune systems (Melzack, 1999). Pain is now recognised as a major challenge for medicine, psychology, and other health sciences and professions. Every aspect of life, from birth to dying, has characteristic pain problems. Genetics, until recently, was rarely considered relevant to understanding pain, but sophisticated epidemiological and laboratory studies have established genetic predispositions related to pain as an essential component of the field (Mogil, 2004). The study of pain, therefore, has broadened and now incorporates research in epidemiology and medical genetics. By recognising the dominant role of the brain, which organises the activities of our complex neuroendocrine defence systems, we are now able to appreciate the intimate relationship between pain and stress. We are so accustomed to considering pain as a sensory phenomenon that we have long ignored the fact that injury does more than trigger pain; it also disrupts the brain’s homeostatic regulation systems, thereby producing ‘stress’ and initiating complex hormonal and immunological programs to reinstate homeostasis. The stress system vastly expands the scope of pain research and provides valuable clues in our quest to understand chronic pain. The focus on reflexes in early 20th-century psychology led to definitions of pain in terms of escape, avoidance and other ‘aversive behaviours’. Pain experience was reduced to a one-dimensional sensory experience that varies only in intensity. In the 1970s, however, the definition of pain changed from an injury-produced response to a multidimensional subjective experience. Peripheral and spinal mechanisms are obviously important. But they are only part of the story of pain. Many people suffer severe chronic pain in the absence of any detectable physical cause, which forces us to explore neural programs in the brain, where subjective experience occurs. Research on the language of pain – the words we use to describe the sensory, affective and cognitive qualities of our pains – has produced questionnaires that allow us to comprehend one another’s subjective pain experience (Melzack, 1987). They are also used to evaluate the effectiveness of drugs and other therapies. The translations of the Short-Form McGill Pain Questionnaire into more than 50 languages provide a universal communication system to study pain in humans. The recognition that pain is a multidimensional experience determined by psychological as well as physical factors has broadened the scope of pain therapies. Patients with chronic pain as well as terminally ill cancer patients with intense pain need every bit of the armamentarium to battle the pain. John Bonica (1953) argued that chronic pain is different from acute pain – that chronic pain is not a ‘symptom’ but a syndrome in its own right, and requires a Pain Clinic that includes therapists from a wide range of disciplines. At the same time, Cicely Saunders (1976) recognised the importance of psychological approaches to palliative care for dying patients in addition to effective levels of morphine. Bonica and Saunders argued that unrelenting pain is an evil to be abolished by every available means. Psychological therapies, which were once used as a last resort when drugs or neurosurgery failed to control pain, are now an integral part of pain management strategies. The recognition that pain is the result of multiple contributions gave rise to a variety of psychological approaches such as relaxation, hypnosis and cognitive therapies. So too, transcutaneous electrical nerve stimulation (TENS) and physical therapy procedures emerged rapidly, bringing substantial pain relief to large numbers of people. The field of pain continues to develop and there are reasons to be optimistic about its future. First, imaging techniques have confirmed pain-related activity in widely distributed, highly interconnected areas of the brain. An implication of the concept is that neural programs that evolved in the brain to generate acute pain as a result of injury or disease may sometimes go awry and produce destructive chronic pain. Future imaging research may reveal the sites of abnormally prolonged activity in chronic pain patients. Second, the detailed knowledge and technical skills developed by scientists for research on the spinal cord can be used to explore brain mechanisms in humans and animals, especially the dopaminergic, seratonergic and other -ergic systems in the brainstem reticular formation, which are known to have a major effect on chronic pain but whose projections through the multiple brain circuits are still poorly understood. Third, our knowledge of the genetic basis of pain as well as the development of the brain is growing rapidly (Mogil, 2004). Genetic factors are known to contribute to a large number of chronic pain syndromes and future research will highlight their brain mechanisms. The inevitable convergence of these three approaches will hopefully lead to the relief of pain and suffering now endured by millions of people.